Hollywood rarely does monster fairytale films right, but when they do they become instant classics. The shape of Water falls under many genres, from horror to fantasy to romance. And despite it’s clearly unrealistic and old setting, the film tackles real life issues that still affect us today. From reading the synopsis and watching the trailers, I knew it wouldn’t be one of the films that I usually enjoy. However, I was pleasantly surprised to be completely wrong, I didn’t just enjoy it, The Shape of Water challenged my views of what a movie can be. Guillermo del Toro’s Pan's Labyrinth was quickly dethroned as his most artistic film. The film’s cinematography is almost as immersive as water itself. 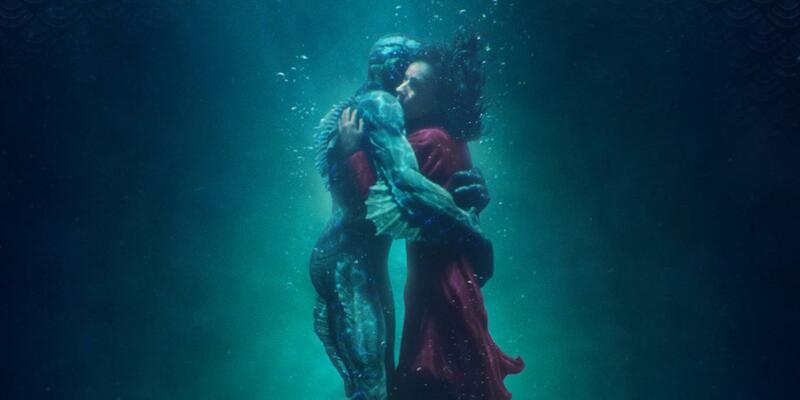 Crafted with stunning visuals and impressive use of computer-enhanced and practical effects, The Shape of Water’s delicate details unfold in the 1960s Baltimore, where ‘Sally Hawkins’ plays Elisa, a mute single girl that works at as a cleaning lady at a top-secret government laboratory with her friend Zelda ‘Octavia Spencer’. ‘Hawkins’ is half of this movie’s charm, her performance is a major part of making this elaborate fable somehow realistic. ‘Octavia Spencer’ and ‘Richard Jenkins’ who plays Gils, performances are also very impressive. But the true counterpart to ‘Hawkins’ is ‘Michael Shannon’. His usual overacting is exquisite to watch, he makes his malevolent character Colonel Richard Strickland so frightening that the actual monster in the film looks tame in comparison. Despite the film’s message on overcoming differences, it doesn’t fail to paint the world in black and white. But for a horror-magical tale about a woman who falls in love with a sea monster in the 60s, one can’t demand even more. And in the mix of sequels, universes, dumbed-down and almost identical films, The Shape of Water brings some much-needed originality to the scene.